Join us for a pizza dinner, as we get some planning done! 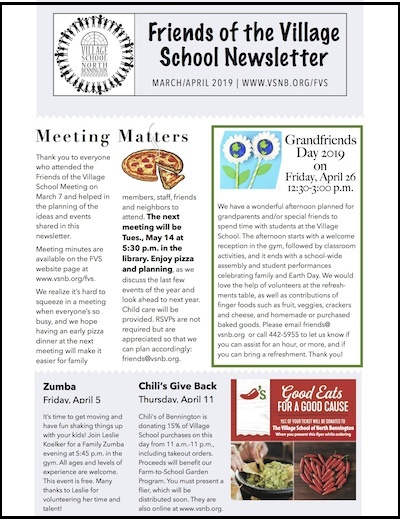 Friends of the Village School (FVS) evolved out of the Parent Teacher Group in the fall of 2017 as a way to unite families, teachers, staff, and community members for the purpose of working together toward community building and furthering the education of our school’s students, as well as fundraising in direct support of classroom activities and experiences. FVS strives to promote friendship, civic responsibility, and the spirit of volunteerism within the school community. It is a very active organization that meets regularly and runs Family Nights, an Outing Club, Signature Events, a Community Work Day, and Fundraisers. We encourage all who are interested to become FVS volunteers. For more information, please contact friends@vsnb.org. In addition to the FVS’s annual activities listed below, the FVS runs new initiatives each year. Click here to read about the happenings in 2017-2018 and to see photos of FVS volunteers Jody and Matt Schade and Katrina Hastings receiving the Village School’s Volunteer Service Award. 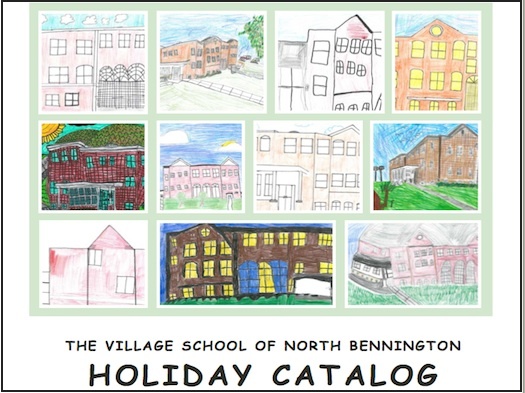 Holiday Catalog Fundraiser: This incredible catalog is filled with gift certificates for local restaurants and services along with a variety of products.For nearly two decades, the Holiday Catalogue has successfully raised enough funding to support various in-school residencies and our Winter Enrichment After-School Programs, as well as provide direct classroom support to students and teachers to help fund class trips and activities. 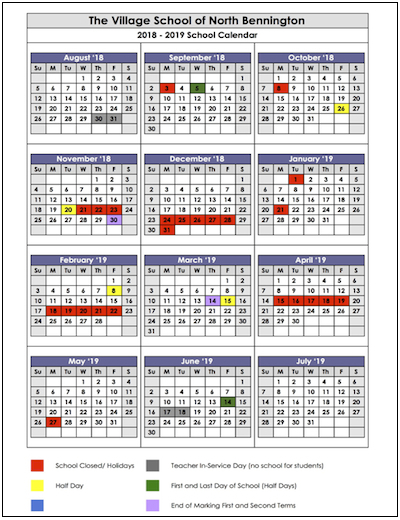 Click her for our 2018 Catalog information. 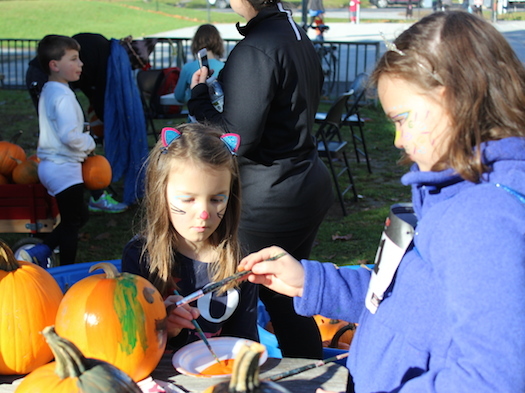 Track and Treat Halloween Fun Run: This event features a 5K run/walk; a Family Fun Run PLUS a special obstacle/adventure course for the younger children throughout the morning! Runners are encouraged to wear Halloween costumes and prizes will be given in several categories. This year’s event will be held on Oct 28, 2018. 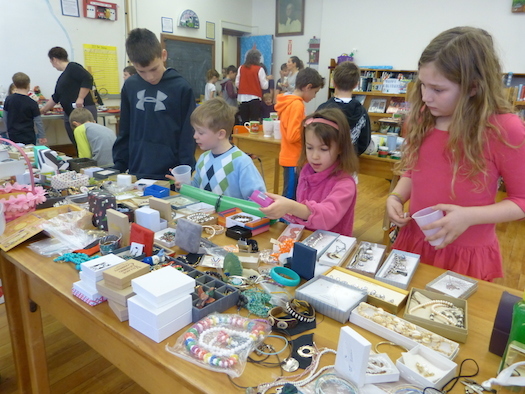 The Holiday Bazaar gives Village School students a chance to do some holiday gift shopping, while also raising money for charity. 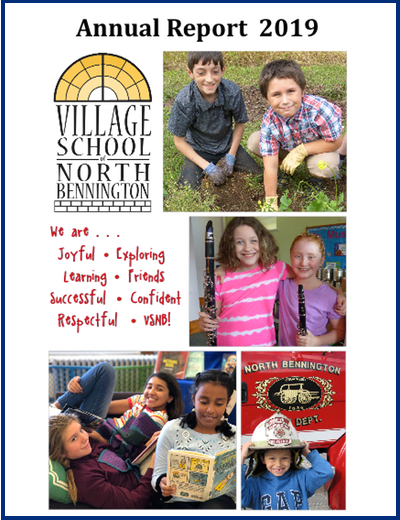 We split our profits between the local Food and Fuel Fund and The Greater Bennington Peace and Justice Center’s initiative to send children to school in Somotillo, Bennington’s sister city in Nicaragua. Items sold at the Bazaar are “gently used” or new items donated by parents, teachers and friends. Winter Carnival: This indoor carnival features fun games of skill and chance plus some great STEM challenges and activities for kids of all ages. Activities are held in classrooms throughout the school, as well as in the library and gymnasium. 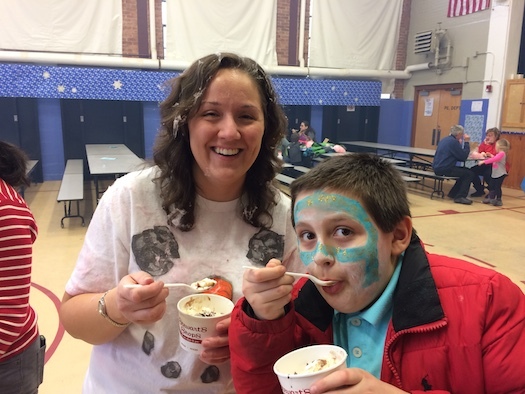 All proceeds go directly to support classroom activities for the benefit of students. 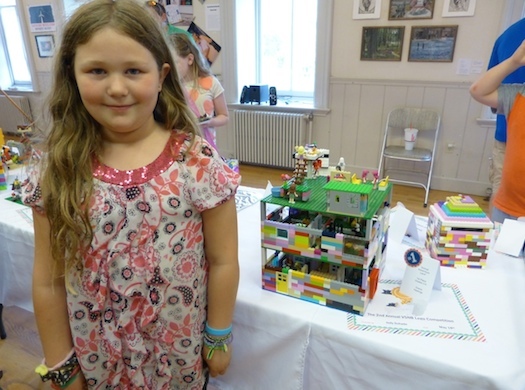 Lego Contest: This annual competition gives our student Lego enthusiasts the opportunity to put their imagination and building skills to work creating an original Lego design. Entries are judged in a number of different categories based on age and theme. Winners are awarded prizes, and all the entries are exhibited at a fun reception. Staff Appreciation Luncheon: Members of the school community join together to provide a festive end-of-year luncheon for our faculty and staff. The Friends of the Village School is comprised of parents, grandparents, community members and Village School staff. All are invited to join us! 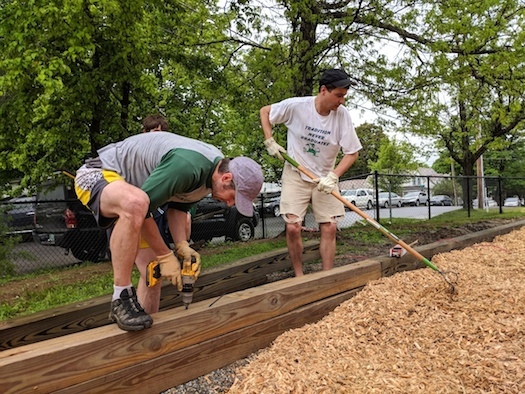 FOV members help to rebuild our playground during a special work project day!